Maintain your home’s most comfortable humidity level automatically with a Honeywell Whole-house Humidifier. Proper humidity provides a more comfortable living environment at a lower temperature, so you can turn down your thermostat for energy savings. Controlling humidity also means moisturizing dry air to prevent damage to hardwood floors and woodwork while preventing excess moisture. 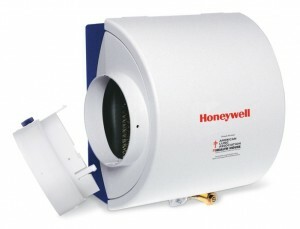 Enhance and protect your home with a Honeywell Whole-house Humidifier.